OPEN HOUSE, SUNDAY, 3/7 1-2:30PM. Contemporary townhouse built in 2002 in Bolton Hill. This home is much bigger than it looks. Large Living Room and Kitchen with Dining Area with sliders to a deck. The second floor has two large bedrooms and full bath. The lower level with 3rd bedroom, large rec room, full bath and utility/laundry room. This basement has large windows and rear entrance. Nice rear fenced yard with landscaping. Tons of parking in front and back. Steps to Sumpter Park & Playground. 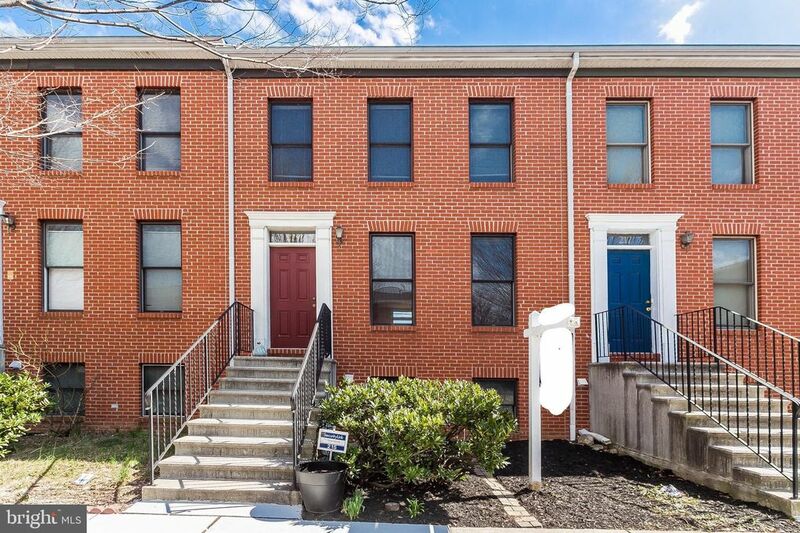 Conveniently located near Penn Station for MARC Train DC Commuters, Amtrak to Philly and NYC, Hopkins Shuttle, Light Rail, Subway, MICA, U of Baltimore, U of Maryland, Peabody and both Hopkins Campuses. New Carpet on the stairs being installed week of 3/19.